2014 Omnivore Recordings. 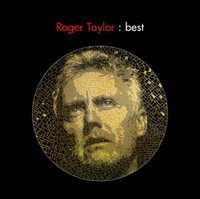 Omnivore Recordings is proud to release the first-ever best of Roger Taylor’s solo material-simply titled, Roger Taylor : Best. 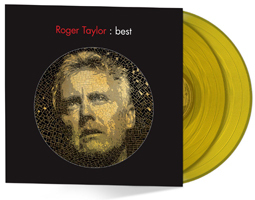 Available on CD and double LP (with tracks appearing on vinyl for the first time), Roger Taylor: Best presents an overview of a rock legend’s work in front of the stage, the listeners-and the world. The first pressing of the LP will be available on limited edition translucent yellow vinyl. Due to licensing restrictions, the LP does not include a download card. The CD and 2LP album will be imported to the UK with the release date 3 November 2014. 2014 Nightjar Productions under exclusive license to Hollywood Records Inc. for the USA. Manufactured, Sold and Marketed by Omnivore Recordings, a division of Omnivore Entertainment Group, LLC. This compilation produced by Roger Taylor and Cheryl Pawelski. Mastered by Gavin Lurssen and Reuben Cohen at Lurssen Mastering, Los Angeles. Licensing: Bryan George. Original Art and Design: Roger Taylor, Richard Gray and Hipgnosis. Design: Greg Allen. Photography: George Hurrell, Richard Gray, Simon Fowler, Peter Christopherson, Jim Marks, Paul Maxon, George Taylor. Editorial: Eileen Lucero. Project Assistance: Audrey Bilger, Dutch Cramblitt, Charlie D’Atri, Lee Lodyga, Nikki Nieves, adn Brad Rosenberger. Special Thanks: Justine Ellis, Joshua J. Macrae, and David Richards.